I wrote a recent column about the problem with the Brooklyn Nets. And it's not just the dreadful Broooook-lyn chant. Brooklyn, I need you to scream. Shawn Carter makes his need known to fans every fifteen minutes or so at Nets games. His voice is familiar and likeable, and his request is reasonable, so everyone pretty much complies. Who doesn’t comply with Hova? I know I do. Lately, especially. 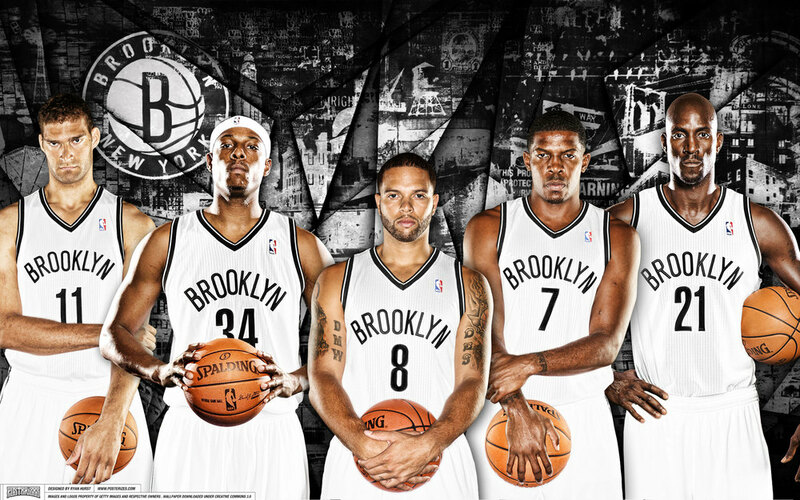 Our Brooklyn Nets are showing some Proof of Life. So are the fans. I don’t think this is just anecdotal—even though there was a very drunk, very compelling woman in front of us at Barclays arena last week who twice tried to order rum punch and loaded nachos from the water guy. People seemed to be more enthusiastic in the stadium than I’d ever noticed before. Our sons were out of their seats cheering and high-fiving, chocolate from the blackout Nets cupcakes obscuring their uneven teeth, and not because they had been put on notice by the flammable lady slurring about the boringnish of Netshh games and how she’s the only true fan. I wrote a few weeks ago that part of the milquetoast response to the Nets had to do with fans’ desire to get a Superstar on the roster. A new team in a town like New York needs an energy boost, a glitz injection—either a one-name star or lots of wins. They had the wins last year and even made the playoffs. But they were workman-like, the wins unspectacular. We’re impatient here. We expect glamour. For a time, the Nets had neither excitement nor stars. Then they added Kevin Garnett and Paul Pierce to the roster and things were lively for a time. In sports journalism at least. And on WFAN. Not so much at the Barclays Center. It was back to neither. It seemed the stars of the Brooklyn Nets were the fancy food vendors (Fatty Cue-run anyone? Pulled pork on a banh mi with bread and butter pickles? ), the sparkly new stadium (there’s currently a GQ Barber Shop on site for half-time grooming), and the cool black and white branding. I have to admit, as NBA experiences go, that stuff is all very winning. It’s a cinch to get there and to get home; the well-designed spaceship of a stadium is user-friendly and petite. You never leave feeling like you’ve eaten a trough of stadium food marinated in a water bath. The bathrooms haven’t developed that vintage patina and stench of oversubscription yet. And tickets in the cumulous cloud section of the Barclays are affordable compared to a game at the Garden. All of my friends who have season tickets are, of course, committed fans. A neutral or agnostic response to the Nets as a season ticket holder would be a costly form of apathy to say the least. But at the moment, my non-season pass holding nine-year-old and his friends, excellent basketball players and rabid NBA savants, are romantically attached to other teams. They’re impervious to the hometown loyalty that comes naturally to a mature fan. What do you mean? we ask them. You LIVE in Brooklyn. You have an NBA team right here. You prefer the Oklahoma City Thunder? Do you realize you’ll never visit Oklahoma? It’s softening a bit, this resistance, especially as they attend more Nets games and develop some sensible local pride. And get to eat the Frisbee-sized Junior’s cupcakes—amazing facsimiles of old-timey Hostess treats. But come on, would I really have to explain to them why they should root for their hometown team if King James played for the County of Kings? Boyhood affection for charismatic superstars is factory installed. They’re self-interested, 4 feet 4 inch tall divas; they root for teams that win. They walk the streets a half-mile from the Barclays wearing jerseys that say James, Bryant, Curry, Durant, Rose. (Curiously, one of my kids wears an Iguodala Denver Nuggets jersey.) Their entry point to the love of the game is unqualified success, cinematic sneaker commercials, MVP-dom. I can’t judge. Dwyane Wade’s my favorite player because he’s cute. Even his out-of-order knees are cute. BUT…suddenly there are two brand new black and white jerseys sucking up all the high efficiency detergent around here. Our sons each have one—a Paul Pierce jersey, and a Truth jersey, which is Pierce’s nickname. (The NBA has gone batshit this year with specialty jerseys—nickname jerseys, throwback jerseys, special Christmas day uniforms—these guys are changing clothes more often than the Real Housewives.) Could the Netsgear invasion have anything to do with the wins last week over Golden State and Miami? Have we turned a local and sustainable fandom corner? My fiancé and I took our two boys to the Golden State/Nets game last Monday, which they were thrilled and incredibly sweet about. Once you get them inside the arena, it’s impossible for them not to vibrate with happiness. Pumping music (lots of Rihanna—too much? ), butter-bombed popcorn, the squeaky basketball shoe cacophony. A small-town-America vibe blossomed when we recognized three different families we knew on the Jumbotron. I run into people every time I attend a game at the Barclays. I’m aware the law of averages means that lots of the spectators are composed of white families with disposable income and recreational freedoms, many from the same rarefied corners of Brooklyn. I’ve considered how perhaps the yuppiedom and affordability problems of NBA games could be why energy levels at the Barclays are measured, a bit sleepy by the third quarter—how can you cheer when you’re in a fifteen minute line for the Paisanos specialties? In contrast, courtside at Knicks games is musical chairs between celebrities, Wall Street wolves, and enhanced women who probably have limited hoops intel, but the team still manages to be aggressively embraced and celebrated at the Garden. Look, I’m terrified of diehard, volatile, game-day men (actually much more a component of NFL charms than NBA—NBA fans in primo, TV-shot seats usually seem drunker on their own money than the beer), and I’m not pining for a stadium full of lunatics, but until recently, things could be a tad narcoleptic at the Barclays. This surprise win was followed up on Friday night by the double overtime defeat of the Heat, 104-95. LeBron James, who hasn’t fouled out of a game since 2008, and only in a total of four regular season games during an 11-year career, went ahead and FOULED OUT. Earlier in the game, he was…pissed. Very pissed. Mirza Teletovic had wrapped him up around the neck and was called for a flagrant, but not before laughing directly in the face of the King’s visible anger and frustration. Teletovic seemed to me like a guy following orders and then uncomfortably laughing with a mixed expression of fear and surprise, but regardless, he was smirking at LeBron James. I like LeBron, and believe the Heat will probably three-peat the NBA championship this year, but I like even more the notion of a Brooklyn team that is emboldened, gutsy, maybe even, you know, winning. That part would be great. And our kids would stop asking us to fly to Portland on a Tuesday to catch a game. While I’m making requests, here’s priority number one. Can I ask that the dreadful, confounding Brooklyn chant be replaced? Is this possible? When the dirge of Broooooook-lyn, Broooooook-lyn, Broooooook-lyn begins, it feels funereal, like wailing or moaning, not remotely tenacious. To me, the tone of it induces an immediate abortion of momentum. Why do we want a chant that sounds as if the hometown fans are TAUNTING their own team? Like something opposing fans say when the other team is taking a foul shot. Who came up with this? And can they please admit they were clinically depressed when they did so? Keep me posted. I’m getting in line with a hundred D-Will jerseys for a Calexico fish taco. Maybe some Blue Marble as well. I’ll be back in forty to fifty minutes. Brooklyn, I need you to scream. And to cook the fancy game snacks faster. Go Nets! This column first appeared on the South Brooklyn Post on January 16, 2014.